Navigation WHY YESTRAKTOURPRICINGBLOGWANT A DEMO? The strategy for driving leads. The strategy for converting leads into booked business. Often times we work with businesses that have tons of leads coming in, but are having a hard time capitalizing due to poor follow-up procedures. As a result, marketing budgets are wasted and business owners are left scratching their heads wondering what went wrong? What does this mean for you and your quest for higher conversion rates? Quite simply, if you act fast and follow-up on your leads right away, you win! So that’s Key #1 – The Tortoise Doesn’t Always Win the Race. Not only will responding quickly impress your prospects, but you immediately differentiate yourself from your competition who will take 42 hours on average to respond to inquiries. Now that you understand the need to move fast, let’s focus on what to say during your follow-up calls that will give you the greatest chance of success in today’s selling environment. 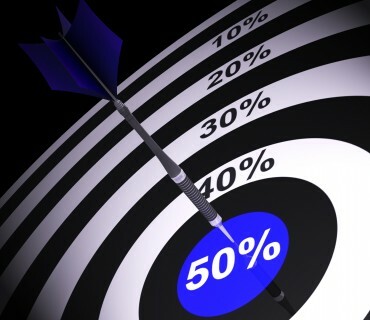 According to Harvard Business Review, 60% of your prospects know all about you before they decide to contact you. That’s significant because it affects the strategy you should use to convert prospects to customers. Today, people love to buy, but they hate being sold (and more importantly, they hate being closed!). The mistake most businesses make is that they focus their staff training on giving the perfect pitch, following detailed scripts, learning closing techniques, and developing great objection handling skills… when in reality, that’s not what works for today’s buyer. Instead, today’s buyer has already done their research and contacted you as a result. Therefore, they simply want to be helped, they want to be cared for, and they want to be offered solutions that are ideal for them (not ideal for you). That actually makes your job easier, not harder. You no longer have to convince people to buy something they may or may not need– instead, you just have to help them buy what they already know they should buy. Now isn’t that great? That leads us to Key #2 – Help Don’t Hunt. While instinctively you may think working on your closing skills will help you convert more leads, that couldn’t be further from the truth. Hunting for closes will actually kill deals, not help them convert. Instead, focus on getting to the real reasons your prospects are contacting you. Connect on an emotional level by being genuine in your desire to truly help your prospects solve problems. And in the process, you’ll be amazed at how quickly your revenues grow! Be a great asker of questions. Don’t worry so much about the statements you make because you are better served when your prospects are doing all of the talking. In fact, the more you get your prospects to talk, the more likely they are to buy. Neil Rackham showed us that statistically in 1988 with his award-winning book, Spin Selling– and as they say, the stats don’t lie! All of these questions are great because they allow you to control your calls- not with what you say, but with what you ask. By consistently getting prospects to talk about their needs and motivations, you help your callers move past pricing concerns, insurances accepted, or whatever other barriers you typically face. So in review, converting leads at high percentage rates is really about responding quickly and asking the right questions when you have prospects on the phone. The timeliness of your follow-up calls demonstrates the level of service your prospects can expect once they become customers– and the use of great questions lets your prospects know that you are customer-focused. By meeting both criteria for your prospects, you stand out in the crowd and give your business the best chance at success. Since 2008, Spencer has helped thousands of clients generate more revenues as a result of improving the way phones are answered. As co-founder of YesTrak (a revolutionary live agent answering service) and MyDoctorCalls (a cloud-based call tracking and recording system), his products and services have changed the way businesses approach their inbound calls. Spencer is also the author of 'Own the Phone'-- a book that helps healthcare practices turn their phones into growth machines. Marketing Success: It’s All About the Digits! Copyright © 2015 YesTrak. All rights reserved. 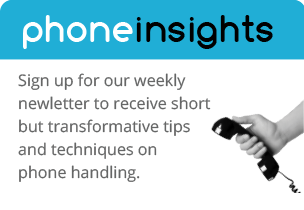 We'll send you weekly tips on phone handling. Unsubscribe any time.